Directions: US Route 6 West to US Route 872, 2 miles turn left, 5 miles on left-hand side. We offer design and sales of kitchen and bathroom cabinetry. 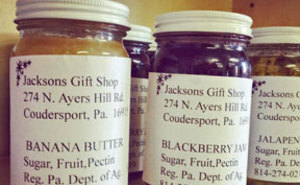 Our gift shop specializes in home-made canned jams, relishes, and wood working.